Though that worked for me as a developer, it wasn’t the best for the audience. What happens if the the image in the src attribute is heavy? On high-end developer devices (like mine with 16GB RAM), few or no performance problems occur. But on low-end devices? It’s another story. Nowadays, the lowest-priced iPhone sells for an average of $300. 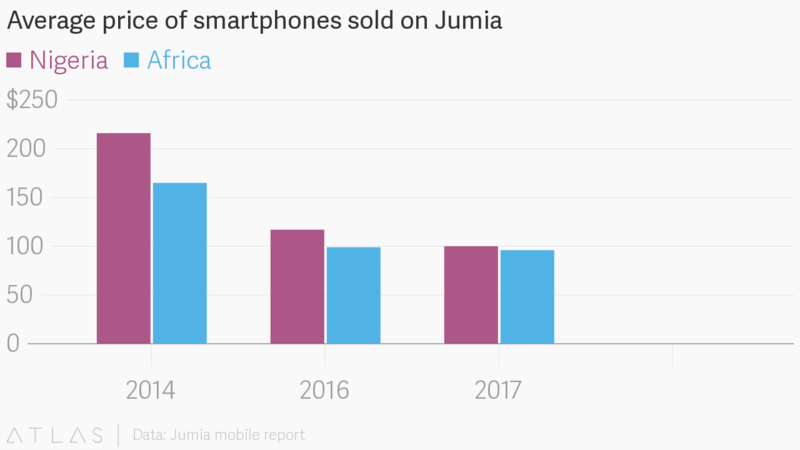 The average African can’t afford it even though iPhone is a threshold for measuring fast devices. That’s all the business analysis you need to understand that CSS width doesn’t cut it for responsive images. What would, you ask? Let me first explain what images are about. Are the images created dynamically by the user or statically by a design team? If the width and height of the image are changed disproportionately, would that affect the quality? Are all the images rendered at the same width and height? When rendered, must they have a specific aspect ratio or one that’s entirely different? What must be considered when presenting the images on different viewports? Jot down your answers. They will not only help you understand your images — their sources, technical requirements and such — but also enable you to make the right choices in delivery. Image delivery has evolved from a simple addition of URLs to the src attribute to complex scenarios. Before delving into them, let’s talk about the multiple options for presenting images so that you can devise a strategy on how and when to deliver and render yours. First, identify the sources of the images. That way, the number of obscure edge cases can be reduced and the images can be handled as efficiently as possible. Dynamic: Dynamic images are uploaded by the audience, having been generated by other events in the system. Static: A photographer, designer, or you (the developer) create the images for the website. Let's dig into strategy for each of this types of images. Static images are fairly easy to work with. On the other hand, dynamic images are tricky and prone to problems. What can be done to mitigate their dynamic nature and make them more predictable like static images? Two things: validation and intelligent cropping. Note: An image’s render size is determined during rendering, hence no validation on our part. After validation, a predictable set of images would emerge, which are easier to consume. Another strategy for handling dynamic images is to crop them intelligently to avoid deleting important content and refocus on (or re-center) the primary content. That’s hard to do. However, you can take advantage of the artificial intelligence offered by open-source tools or SaaS companies that specialize in image management. An example is in the upcoming sections. Once a strategy has been nailed down for dynamic images, create a rule table with all the layout options for the images. Below is an example. It's even worth looking into analytics to determine the most important devices and viewport sizes. Now set aside the complexities of responsiveness and just do what we do best — simple HTML markup with maximum-width CSS. Note: The ellipsis (...) in the image URL specifies the folder, dimension, and cropping strategy, which are too much detail to include, hence the truncation to focus on what matters now. For the complete version, see the CodePen example down below. If the images do not have a uniform width and height, replace max-width with object-fit and set the value to cover. Jo Franchetti’s blog post on common responsive layouts with CSS Grid explains how the value of grid-template-columns makes the entire layout adaptive (responsive). we might want to be stricter with the image width instead of setting it to 250 and letting it grow. Well, this section covers "the bare minimum" so that’s it. The worst thing that can happen to an image layout is mismanagement of expectations. Because images might have varying dimensions (width and height), we must specify how to render the images. Should we intelligently crop all the images to a uniform dimension? Should we retain the aspect ratio for a viewport and alter the ratio for a different one? The ball is in our court. For details on resolution switching and art direction in responsive images, read Jason Grigsby’s series. Another informative reference is Eric Portis’s Responsive Images Guide, parts 1, 2, and 3. See the code example below. Camera lens images are rendered as a portrait image of 700px in width and 1000px. in height (700px x 1000px). PS4 Pro images are rendered at 1000px x 1000px. By cropping images to make them responsive, we might inadvertently delete the primary content, like the face of the subject. As mentioned previously, AI open-source tools can help crop intelligently and refocus on the primary objects of images. In addition, Nadav Soferman’s post on smart cropping is a useful start guide. The first example on responsive images in this post is a flexible one. At a minimum of 300px width, grid items automagically flow into place according to the viewport width. Terrific. On the other hand, we might want to apply a stricter rule to the grid items based on the design specifications. In that case, media queries come in handy. For an image that is 1000px x 1000px square on a wide viewport, we can span it to take two grid cells on both row and column. The image that changes to a portrait orientation (700px x 1000px) on a wider viewport can take two cells on a row. Blind optimization is as lame as no optimization. Don’t focus on optimization without predefining the appropriate measurements. And don’t optimize if the optimization is not backed by data. Nonetheless, ample room exists for optimization in the above examples. We started with the bare minimum, showed you some cool tricks, and now we have a working, responsive grid. The next question to ask is, "If the page contains 20-100 images, how good will the user experience be?" Hats off to Jason Grigsby for the clarification in his replies. Thanks to resolution switching, if the browser is resized, then it downloads the right image for the right viewport; hence small images for small phones (good on CPU and RAM) and larger images for larger viewports. The above table shows that the browser downloads the same image (blue rectangle) with different disk sizes (red rectangle). 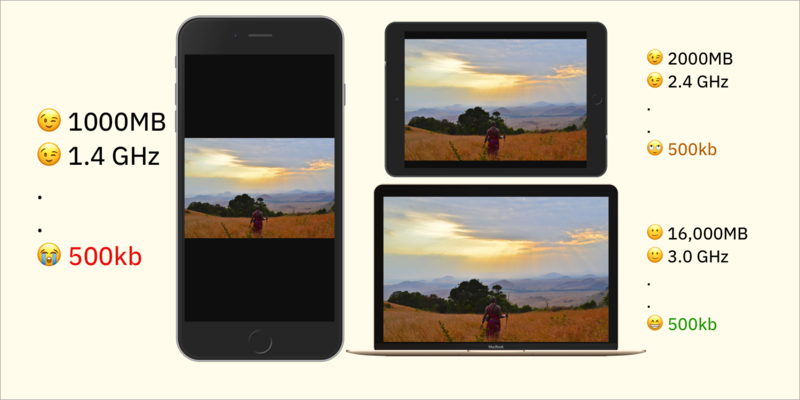 Cloudinary’s open-source and free Responsive Image Breakpoints Generator is extremely useful for adapting website images to multiple screen sizes. However, in many cases, setting srcset and sizes alone would suffice. This article aims at affording simple yet effective guidelines for setting up responsive images and layouts in light of the many—and potentially confusing—options available. Do familiarize yourself with CSS grid, art direction, and resolution switching and you’ll be a ninja in short order. Keep practicing! Do you know if there is a native manner of doing this plus lazyload images? The issue I always come across is pixel density. Generally, the smaller your device, the higher the pixel density is. So if you serve a lower res image to the smaller screens, you end up with images that look very blurry – and when we’ve tried that, the client always complains how bad images look on their iPad and iPhone. We end up serving images that are only 5-10% smaller file sizes for a relatively large investment of developer time. For sites that are not image galleries, and do not have to load fifty images per page, we find it is better to still use the old methods and make sure images are properly optimised on upload. Most images would be around 80kb, even large images would be a max of 150kb.